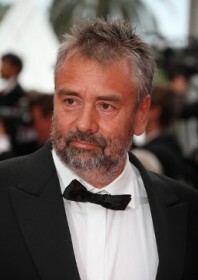 Biography: Luc Besson is France’s most commercially successful filmmaker. He is often dismissed in his homeland for making mass-market films. In his capacity as the chairman and majority shareholder of EuropaCorp, he has launched the Taken, Taxi and Transporter franchises – helping to turn the aging thespian Liam Neeson and former London-based diver Jason Statham into huge action stars – as well as launching Jet Li in the west with the actor’s best English-language films to date. Besson was born in Paris but spent much of his childhood on the resorts of Greece and Yugoslavia where his parents worked for Club Med as diving instructors. Besson grew up wanting to be a marine biologist and showed no discernible interest in cinema. He moved back to Paris when he was 10 and soon after his parents divorced. As a teenager he suffered from a near fatal diving accident and, being a keen writer and photographer, he decided instead to pursue a career in film. He applied to France’s national film school, Fermis, but was rejected. Despite the setback, he persevered and began writing his own scripts and directing short films. He worked as an assistant to directors like Claude Faraldo and Patrick Grandperret in Paris, as well as making his own commercials and documentaries, before relocating to the United States for three years. Upon his return to Paris in the early 1980s, he launched his own production company, Les Films du Dauphin. His first three feature films – Le Dernier Combat (1983), Subway (1985), and The Big Blue (1988) – gained critical attention for being part of the so-called ‘cinema du look’ movement of slick and stylised French cinema which focused on underground societies and alienated youth. The latter film was commercially panned when it debuted at Cannes Film Festival, but would go on to become a huge commercial success. His next film, Nikita (1990) – starring Anne Parillaud as the murderer-turned-spy of the title – set the blueprint for Besson’s ‘femme fatale’ formula and paved the way for future work in America. He gave the 12-year-old Natalie Portman her first film role as the sidekick to Jean Reno’s sardonic hitman in his best film, Leon (1994), which received nominations for Best Director and Best Picture at the Cesar Awards. He helped Portman to find her first agent and was personally thanked by the actor when she accepted her Academy Award for Best Actress for the 2010 film Black Swan. He cast Milla Jovovich as an alien in the highly successful sci-fi film The Fifth Element (1997), the script for which Besson had first worked on as a teenager. Besson has championed strong female characters in central roles for many of his self-directed films, including Jovovich as Joan of Arc in The Messenger (1999), Michelle Yeoh as Aung San Suu Kyi in The Lady (2011), and Scarlett Johansson in Lucy (2014). He continues to be diverse as a filmmaker, however, in directing the animated Arthur series. In 2000, Besson co-founded EuropaCorp with Pierre-Ange Le Pogam, a former distribution director at Gaumont. The France-based independent studio produces and distributes feature films, predominantly focusing on English-language product. Its key franchises include The Transporter, Taxi, and Taken. The latter film cost $25m and made $227m; the sequel, Taken 2 (2012), made $376m. The company continues to be prolific; it had produced or co-produced more than 100 films by 2011. Besson was instrumental in helping to launch Jet Li’s international career with two of his best English-language films, Kiss of the Dragon (2001) and Unleashed (2005). He backed the Parkour films of David Belle; District 13 (2004), its sequel and American remake, Brick Mansions (2014). Despite the company’s emphasis on action films, EuropaCorp has also backed key art-house and genre films, including Tell No One (2006), The Three Burials of Melquiades Estrada (2005) and I Love You Phillip Morris (2009). Besson’s first production for EuropaCorp was a UK film, Gary Oldman’s Nil by Mouth (1997). In 2013, EuropaCorp opened a luxury multiplex cinema outside Paris, designed to put them on the same footing as the other giants of French cinema, Pathe and Gaumont. As well as a studio in Paris, EuropaCorp has facilities in Normandy and Hollywood as well as distribution outlets in Japan and China. Besson has been married four times, including marriages to actors Anne Parillaud, Maiwenn Le Besco and Milla Jovovich. He has four daughters. Filmography (as director): 1983 Le Dernier Combat (+ pro, scr. ); 1985 Subway (+ pro, scr. ); 1988 The Big Blue (+ pro, scr. ); 1990 Nikita (+ pro, scr. ); 1991 Atlantis (documentary; + pro, scr. ); 1994 Leon (+ pro, scr. ); 1997 The Fifth Element (+ scr. ); 1999 The Messenger: The Story of Joan of Arc (+ pro, scr. ); 2005 Angel-A (+ pro, scr. ); 2006 Arthur and the Invisibles (+ pro, scr. ); 2009 Arthur and the Great Adventure (+ pro, scr. ); 2010 The Extraordinary Adventures of Adele Blanc-Sec (+ pro, scr. ); Arthur 3: The War of the Two Worlds (+ pro, scr. ); 2011 The Lady (+ pro, scr. ); 2013 The Family (+ pro, scr. ); 2014 Lucy (+ pro, scr.). Filmography (as producer): 1991 Cold Moon; 1997 Nil by Mouth; 1998 Taxi (+ scr. ); 2000 Taxi 2 (+ scr. ); The Dancer (+ scr. ); 2001 Kiss of the Dragon (+ scr. ); Wasabi (+ scr. ); 2002 La Turbulence des Fluides; The Transporter (+ scr. ); 2003 Cheeky; Fanfan la Tulipe (+ scr. ); Les Cotelettes; Michel Vaillant (+ scr. ); Taxi 3 (+ scr. ); 2004 District 13 (+ scr. ); Taxi (+ scr. ); 2005 Bunker Paradise; Colour Me Kubrick; Imposture; Revolver (+ scr. ); The Three Burials of Melquiades Estrada; Transporter 2 (+ scr. ); Unleashed (+ scr. ); Ze Film; Au Suivant! ; 2006 Bandidas (+ scr. ); Love and Other Disasters; Nuovomondo; When I Was a Singer; Dikkenek; Tell No One; 2007 Michou d’Auber; L’Invite; The Secret; Taxi 4 (+ scr. ); Hitman; Frontier(s); 2008 Taken (+ scr. ); Transporter 3 (+ scr. ); 2009 District 13: Ultimatum (+ scr. ); Home; 2009 I Love You Phillip Morris; Staten Island; 2010 From Paris with Love (+ scr. ); 22 Bullets; 2011 Colombiana (+ scr. ); The Source; A Monster in Paris; 2012 Lockout (+ scr. ); Taken 2 (+ scr. ); Transporter: The Series (TV); No Limit (+ scr. ); 2013 Collision; 2013 Jack and the Cuckoo-Clock Heart; 3 Days to Kill (+ scr. ); 2014 Brick Mansions (+ scr. ); The Homesman; 2015 Taken 3 (+ scr. ); The Transporter Refueled (+ scr.). Filmography (as writer): 2001 Yamakasi; 2004 Crimson Rivers II: Angels of the Apocalypse.